At a time when most tourist attractions and heritage sites across the country are becoming dumping grounds – from plastic bottles, juices tetra packs to disposable cups and straws, the beautiful tourist attractions, today are getting lost in the plastic mess. 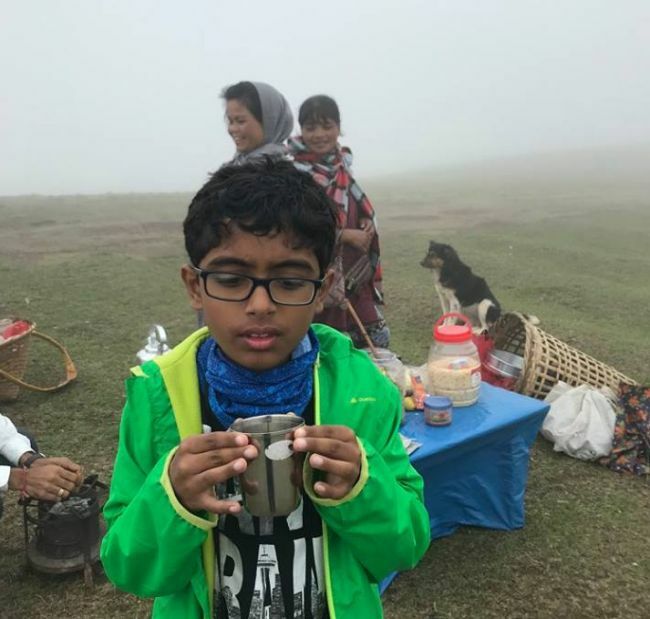 To break away from this cycle of trash, and make a green difference, an Engineer-couple from Bengaluru Shilpi Sahu, Rinaz Mohammed along with their 10-year-old son Neil Rinaz recently undertook a green resolution for their 11-day tour of the northeast states. 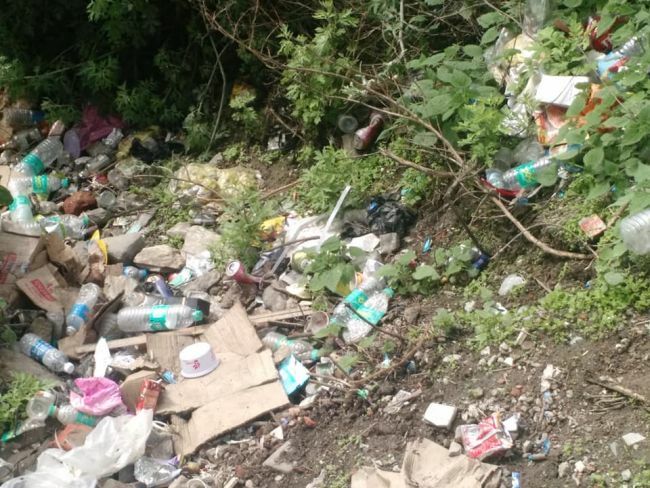 They traveled to places like Guwahati, Shillong, and Cherrapunji, with a green resolve – ‘We will not use any single-use disposable plastic or litter and we will manage our own waste. Our family has one simple thumb rule- we don’t use the ‘useless’ items like plastic bottles, disposable glasses or cups, spoons. We don’t believe in buying packaged food items that are covered in plastic completely. For us, the ‘Swachh Bharat survival kit’ is our steel cutlery, fresh fruits, nuts packed from home. We ask for water refills, instead of buying bottled water. We have always refused plastic items, during this trip, we even insisted on tea and coffee to be served in the steel cup even on our flights. The Sahu family survived on local food and water, they also took pictures of trash while travelling. During this trip, they noticed how plastic waste had reached to places situated at high altitudes. In this 10 day trip, I saw more Bisleri bottles than mountain yaks, rhododendrons, and birds put together. Cleaning up the mess the tourists left is impossible, said Shilpi. I got my periods during this trip, but then also I succeeded in my zero-waste trip. I used menstrual cups, cloth pads. It is tough, but regular checks keep everything sorted. One just needs to know about the right kind of green alternatives to use. 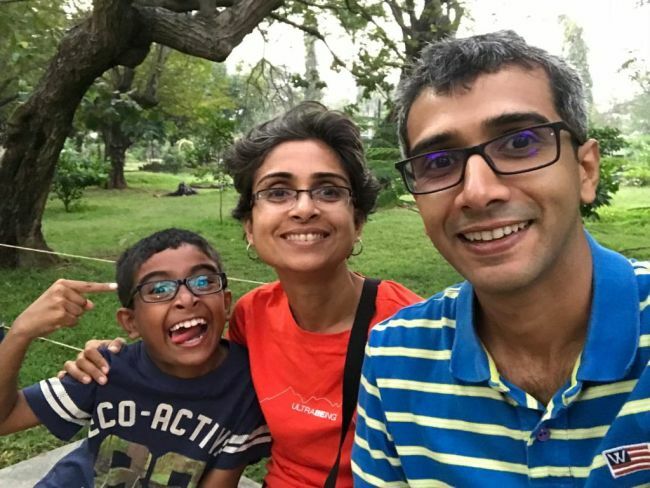 The interesting thing about the Sahu family is that not just trips, their way of living is waste-free as well. The family composts their wet waste at home and sends dry waste to recycling units in the area for effective waste management. Moreover, instead of relying on vehicles, the family mostly commutes via cycles. It is our way of living now. Anyone can do it, it is not hard at all. All these green initiatives have started because we compost our waste – we know what we can recycle easily and what we cannot. There are a lot of things we have realised that we cannot recycle at all – our solution to the problem is that we have started refusing these items. Our ancestors have never ever relied on disposable plastics, it is now, plastic has taken the world by storm – it is high time people realise how important it is to reduce the amount of waste being generated, adds Shilpi. Along with these green measures, Shilpi who is also a passionate runner and is currently working on making these running events waste-free. For this, Shilpi has started a petition in January this year in order to raise awareness about the waste that these events produce and how it is possible to reduce this waste into a much smaller waste footprint. Till date, 110,482 have signed this petition. We all need to reduce the amount of waste we generate. We all need to change our daily habits and bring waste management into action. It doesn’t take much of your efforts, everyone can do simple things to save the environment. One just needs to start thinking about the planet they live in and when they will start thinking the game will change. Previous Post: Meet This Inspiring Mumbai Couple Who Started Their Journey Of New Life By Going Green On Their Wedding Day. Next Post: Move Over Big fat Indian wedding! Check Out This Eco-Friendly Wedding In Kerala And It Is Nothing Less Than An Inspiration.